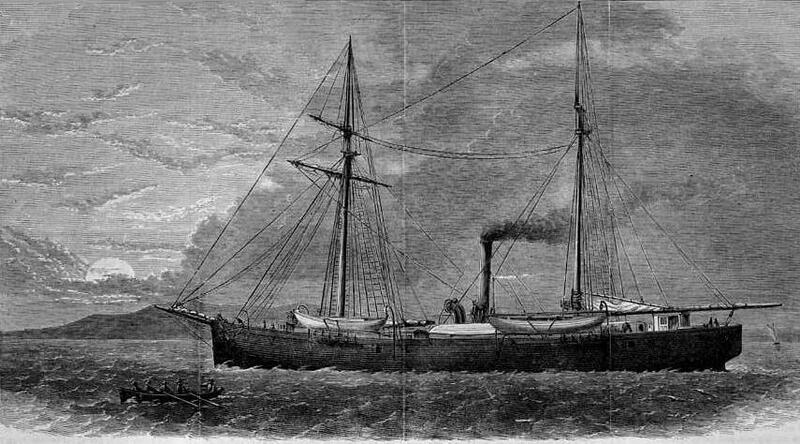 'Captain Hall's Arctic Expedition -- The "Polaris"'', a wood engraving published in ''Harper's Weekly'', May 1873. The BBC contacted me this morning asking great questions related to the Petermann Ice Islands and icebergs. These reminded me of the opening paragraph quoted from a paper on the oceanography of Nares Strait. I published it in 2007 with two friends and fellow sailors of icy waters, Kelly Falkner and Humfrey Melling. In 2003 we sailed together on the US Coast Guard icebreaker Healy and making detailed measurements on ice, water,and bottom sediments. We reported strong southward currents from the Arctic Ocean into Baffin Bay opposing the local winds. Ocean currents were particular strong about 100 meters below the surface on the Canadian coast of Nares Strait. I am still working on these data as they relate to the flux of fresher Arctic waters into the Atlantic Ocean and their climate impacts. There is history and drama in these places: Hall Basin is named after the leader of the Polaris Expedition, Charles Francis Hall, an American who was likely poisoned in 1871 with arsenic by his German Chief Scientist Dr. Emil Bessel aboard the Polaris beset in ice in Hall Basin. Bessel has a tiny fjord off Greenland named after him, it is located about 10 miles south of Petermann Fjord, named after August Heinrich Petermann, a German cartographer who traveled little himself but mapped much of what others had traveled. Joe Island, named after the Inuit hunter Joe Ebierbing of the Polaris ice drift, is the island that broke the 2010 Petermann Ice Island at the entrance of Petermann Fjord into PII-A and PII-B. The second Inuit hunter of the infamous 1872 drift, Hans Hendrick has Hans Island named after him which is very much in the center of Nares Strait and is currently claimed by both Canada and Denmark. The Wikipedia entry on the Polaris Expedition has a well-written introduction while the book by Pierre Berton”The Arctic Grail”provides the story along with many other foolish and professional travails to reach the North Pole during the 19th and early 20th centuries. This entry was posted in Oceanography, Polar Exploration and tagged ice, ice island, Nares Strait, Newfoundland, Petermann. Bookmark the permalink.